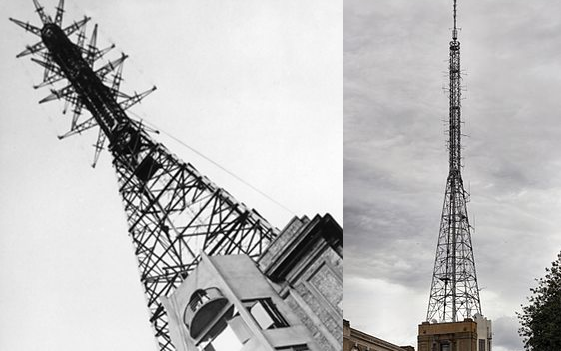 The TV mast at the site of Britain's first regular TV broadcasts is to be illuminated to mark the 80th anniversary of television. The mast illumination is the result of a partnership between communications infrastructure company Arqiva and Alexandra Palace, from where the first TV service was broadcast from on 2nd November 1936. From 1936 until the early 1950s, Alexandra Palace became the major production centre for BBC Television, broadcasting landmark programming and coverage of historical events including the 1953 coronation. Converting former dining rooms and unused spaces to create two experimental TV studios, The BBC Studios became known globally as ‘the birthplace of television’. The service was originally referred to as being in 'high definition', although the 405 line service pales in comparison to current high definition TV services. Although no longer a main transmitter site for London, Alexandra Palace continues to act as a TV relay for households in the area. Alongside the mast illumination, Alexandra Park and Palace Charitable Trust (APPCT) is marking the anniversary by inviting the public to an evening of talks and comedy in the Palace Suite, with the critically acclaimed comedy troupe ‘Do Not Adjust Your Stage’ as the lead attraction. Ticket proceeds will be going towards the restoration of the Alexandra Palace studios as a visitor centre and museum capturing the history of television broadcasting in the UK. The Trust has committed to raising £1 million to complete the project, and restore and open the historic studios to the public for the first time in 2018. It's the first time a mast has been lit up in London since the digital switchover in April 2012, when the capital's current main transmitter mast at Crystal Palace was illuminated for the occasion.